So… What Earbuds Come With The iPhone 7? What About my old Earbuds? Why Remove The Headphone Jack? Do Lightning Earbuds Lead To Better Sound? But… Why Did They Need To Change The Earbuds? So… How Does It All Work? Apple has made major changes in terms of what earbuds come with an iPhone 7. Rather than the old school, Apple earbuds customers have known since the days of the iPod, Apple has introduced new Lightning earbuds for the iPhone 7. The Lightning earbuds use a lightning adapter, the connector point for your charger that has been in use since the iPhone 5, instead of the traditional 3.5mm headphone jack. The iPhone 7 has done away with the headphone port, so all earbuds will now have to use a lightning adapter or rely on Bluetooth. Apple has also developed AirPods, wireless Bluetooth earbuds, that are able to connect to the newer iPhone. This is a pretty large change to the iPhone, so you may wonder what exactly this means for you. Here’s a short breakdown of the new earbuds. Basically, the biggest difference is that there is no headphone jack, and all headphones will now have to use either a lightning adapter or rely on Bluetooth technology. This is shown most prominently in the new design as, with the earphone port gone, the iPhone 7 looks sleeker and more modern. Many have speculated that Apple has made the change mainly for the aesthetic reasons, as the Lightning Earbuds do create a more modern, smoother design. Plugging into the lightning adapter also allows greater accessibility and is more mobile for those listening to music on the go. As such, the lightning adapter fits with Apple’s greater ethos of modern design and allows customers a more contemporary earphone experience. Older Apple earbuds can still work with the iPhone 7 through the use of a lightning adapter. While a pair of Lightning Earbuds comes with the iPhone 7, the adapter is available for purchase from Apple or other licensed retailers. The adapter works by connecting a small 3.5mm earphone port to the lightning adapter end, allowing for older earbuds to remain useful to those looking to purchase an iPhone 7 while keeping the earbuds and headphones they already own. 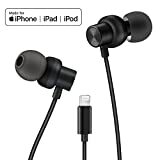 The sound quality remains the same as before, though there have been many reviews stating the Lightning earbuds themselves allow for higher sound quality than previous Apple earbuds. Apple’s wireless AirPods will also be able to connect through Bluetooth, and those with wireless headphone will be able to continue using them. Both the adapter and the AirPods can be seen below. The headphone jack used prior to the iPhone 7 has actually been around since 1964, but popularized in the eighties with the Sony Walkman. Though it’s a small detail on the phone, earbud technology has stayed stagnant without any major changes during this time. The new lightning adapter, as well as Apple’s newfound interest in wireless earbud technology, has surely brought about much-needed changes to the user’s listening experiences. 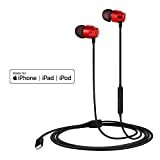 Many companies as well, such as JBL, Audeze, and Phillips have adapted to Apple’s new change and have released innovative new earbuds and headphones to serve around this. In this way, removing the headphone jack has allowed new earbud experiences for customers. Removing the headphone jack has also allowed for Apple to add a second speaker the bottom of the phone. While quality may improve with the new earbuds, Apple claims that the addition of this new speaker will definitely make listening without headphones a much better sonic experience. The stereo speakers added to the iPhone 7 will then be more useful for customers looking to listen without the aid of headphones, and those who might not want to use a secondary speaker. As such, the removal of the headphone jack makes for better listening experiences all around. For more information on why this was a strong move by Apple, click here. Official reports from Apple have not necessarily led to the assertion that the Lightning earbuds are better sound quality. Yet, speculation from users of the earbuds has led to some saying that the Lightning earbuds do make for a higher quality listening experience. The AirPods as well, through the use of Bluetooth technology, allows for higher quality and different formats of audio to be utilized through the iPhone. While all sanctioned accounts from Apple do not confirm that the lightning earbuds lead to better or different sound quality from traditional earpods, users of the earbuds have noticed much improvement from the old earbuds. Removing the headphone jack has allowed for a much sleeker, more modern design for the iPhone 7 and beyond. Not having to deal with the outdated headphone jack also makes for a more concise user earbud experience, and current owners of the iPhone 7 seem to think this change has allowed for increased mobility. While it has been purely speculation whether or not the lightning earbuds provide better sound quality, the addition of a second exterior speaker, an innovation allowed by the lack of the headphone jack, has proven much better sound for those who wish to listen without headphones. All new models of iPhone have gradually increased audio capability, and this model proves no different. While we all love listening to music in our earbuds, however, make sure that your music is not too loud. Earbuds have been proven to cause ear infection. Click here for more information. Much of the development regarding Lightning earbuds have gone hand in hand with Apple’s Airpods and other Bluetooth earpieces. 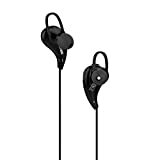 The removal of the headphone jack has allowed for wireless headphones and earpieces to come to the forefront of mobile listening technology. The future might see all smartphones using wireless earbud technology, with Apple, once again, being ahead of the game. The basics of the Lightning earbuds are straightforward. When you purchase an iPhone 7 (at least so long as you purchase through Apple or another official retailer), you will receive a pair of the earbuds, along with the standard iPhone fare. 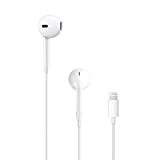 Once you've received the earbuds and you are ready to use them, just plug them into the lightning connector port, and they will work the same as your older, more standard earbuds. 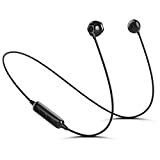 All files and formats of audio that worked before will continue to work with these new earbuds, and there should be no complications in this regard. While many have made a big deal out of this new improvement to the iPhone 7, realistically not too much has changed, and the user interface is as simple as ever. Apple has continued its expectation of creating a technology that is easy for its customers, and the lightning earbuds are more straightforward than some might have you believe. Users may, however, run into trouble when trying to use older earbuds with the new Lightning adapter. This is nothing to worry about, however, as it has been noted that the adapter which Apple sells have is effective and satisfactory. 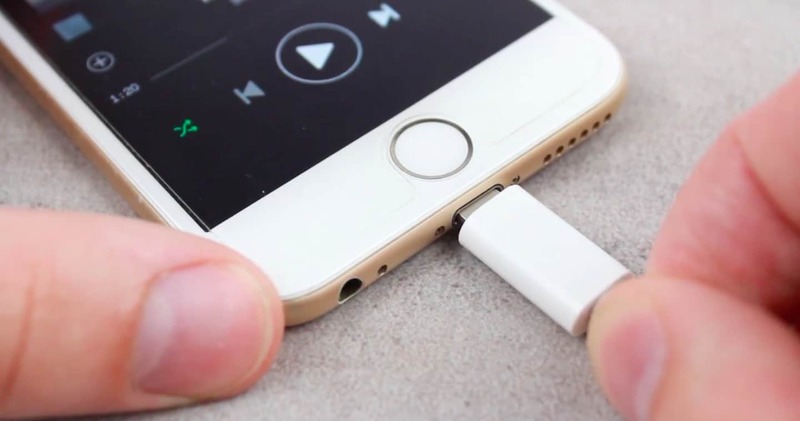 To use these, simply plug old earbuds into the adapter’s 3.5mm headphone jack, and connect the adapter itself to the lightning port. Audio will then play through the device just as before. The Apple AirPods are much like wireless headphones of the past. They work through your phones Bluetooth functioning. When the Airpods are on, or any other Bluetooth headphones you might be using, your phone will connect to them and sound will play as before. In Conclusion | What Earbuds Come With the iPhone 7? The new Lightning earbuds have proven to be a worthwhile feature for the newer iterations of the iPhone. With an added speaker and better wireless capabilities, iPhones not only look better, with the improved sleek design but see overall improvements in sound and general capability. Other smartphones have even since started copying Apple’s innovation, especially in terms of wireless earpieces, and Apple is once again on to something in terms of modern smartphone technology. As such, Apple has pushed the boundaries of earbud technology, and the Lightning earbuds proving to be a right step forward. Customers who currently use the Lightning earbuds, or the Apple AirPods, have been overwhelmingly satisfied and the existing reviews are all very positive. While many at first held doubts about the earbuds that come with the iPhone 7, the new Lightning Earbuds have proven to be a customer favorite. 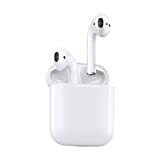 If you are looking to purchase a newer iPhone and worried about the lightning adapter and earbuds, all reviews and noted customer experiences have shown the Lightning Earbuds an AirPods to be a guaranteed high-quality purchase. The Lightning Earbuds come with the iPhone 7 and are separately available to purchase for about $30. They’re a worthwhile investment on their own and make for an added bonus to the iPhone 7, with Apple showing once again to be ahead of the curve in terms of smartphone technology.